A wooden bathtub can create cozy and warm atmosphere in your bathroom, just like ALFI Brand AB1105 Cedar Wood Bathtub. It’s a nice bathtub for any log style cabin or your winter home, enjoy a comfortable soak in since wood is warmer than metal or plastic tubs. Each unit is made of solid cedar wood, you will also get one free wooden hanging basket, you can place your bathing essentials near you at all times. Fill this tub with steaming hot water, then just crawling in, lay back and relax. The re-enforced 3 electroplated iron wraps the tub for durability, the tub is also completed with black and gold paint to create rustic, vintage appearance. 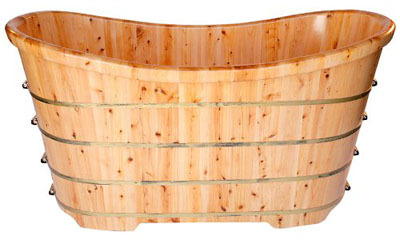 CLICK HERE to get more details about this cedar wood bathtub, it can accommodate up to 74 gallons of water. Do you enjoy a long bath where you can soak all of your body in warm water? if the answer is yes, then this model is perfect for you. 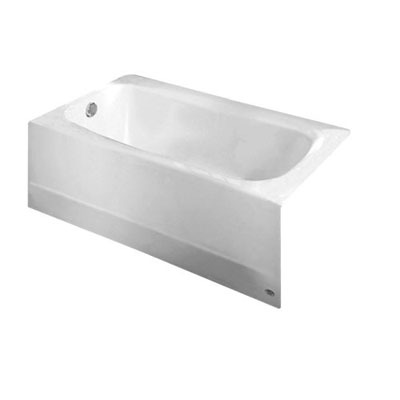 American Standard 2461.002.020 Cambridge 5-Feet Bathtub is a deep tub that can cover your body, soothing it, lowering your blood pressure, improving blood circulation, giving you a relax, stress-free body and mind. When you live in metropolitan area, there are not many stores that sell this type of tub due to living space that becomes smaller and smaller. Most people prefer to buy compact bathtub or shower. This is a plain bathtub, no decoration whatsoever, this is perfect for vintage or contemporary bathroom décor. The durable Americast material looks really beautiful with glossy porcelain finish. This is a great alternative to iron cast bathtub, this model is 50% lighter yet more durable than those traditional cast iron tubs, it has right-hand drain, and thanks to integral apron, it is easier to install. Submerge your body in hot water with this beautiful KOHLER K-1123-0 Archer 5-Foot Bathtub after a long hard day can relieve stiffness. Many people have praised hot water therapy works really well to rejuvenate their body. This bathtub comes with comfort depth design, allowing you to enjoy a deep soaking experience with a low step-over height. It features 60-inch(L)x32-inch(W)x19-inch(H) dimensions, the slotted overflow raises water depth for a deeper soak just like standard 21-inch tall bathtub. There are armrests and lumbar support, the conventional design blends perfectly well with different bathroom decors. We especially love the “Thunder Grey” color, it gives an elegant touch to your bathroom. 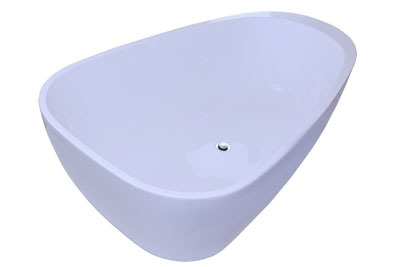 One of the common problems tall people suffers is the uncomfortable short bathtub, which probably is one of the reasons why some bathroom fixture manufacturers nowadays are into lengthy bath tubs similar to this clean, elegant and most of all lengthy FIREBIRD Bathroom White Color FreeStand Acrylic Bathtub (FBAK-192F). 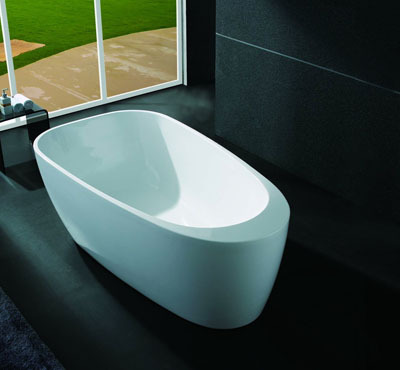 The tub is of acrylic material making it durable and safe enough for bigger and taller users. Make your bathtub functions, as you want it to by installing ECSOSLCP Model SOSL Single Offset Bath Supplies in it. These supplies are designed to work on tubs designed to have wall mount faucets. The supplies allow you to have it jobsite cut and it measures 1/2 inches OD by 22 inches long. When you purchase, you will get supply tubes, escutcheons, connection nuts and washers in your package. One must note that one should use a single offset if both hot and cold water supplies rough in and faucet are on 3 3/8 inch centers. Another thing to keep in mind before purchasing this elegant and functional offset bath supplies is that drain kit needed to make your classy bathtub fully functional is available for purchase separately. CLICK HERE to purchase your new ECSOSLCP Model SOSL Single Offset Bath Supplies and make sure to read happy buyer’s comments and reviews so you will get the idea what you can have. A relaxing and comfortable bathing experience is a good way to distress from a hectic life at work and when bathing in Wyndham Collection 68″ Soho White Soaking Bathtub, the experience will not only be comfortable and relaxing but cozy too. The tub’s soft contour edges make sure of a safe soaking. As its name suggests, the tub measures 68 inches long, making enough legroom for comfortable soaking especially to the tall ones. Other than the longer length, the tub also features a deeper height promoting full immersion making you feel like being on a luxurious pool but at the comfort of your own bathroom. If it is hot and you hate the hassle of going to beaches and resorts and its crowd, enjoy a refreshing bathe with your American Standard 2460.002.020 Cambridge 5-Feet Bath Tub right at the comfort of your home. 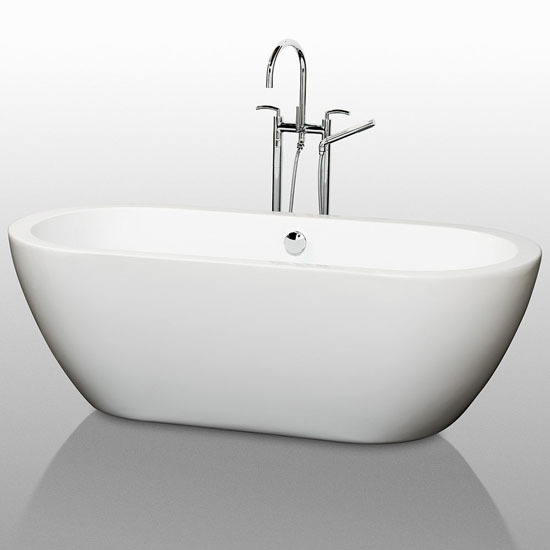 The tub is made of durable Americast material and elegantly finished with a glossy porcelain finish. The tub will surely works great for left-handed people because it features a left hand outlet and left hand drain, thus it would be easier for them to reach those functions. That bathtub will not only let you enjoy bathing but also will let you love the savings you can make with the integral apron it has. Because the bathtub features an integral apron, the side of the tub that will be facing to your bathroom is already finished, thus your installer will not spend so much time on doing his job making it an easy to install and cost effective bathtub. Another feature that makes the tub easy to install is the integral tile flange located along the three wall sides of the tub that keep that tub in place while the installation job is ongoing. 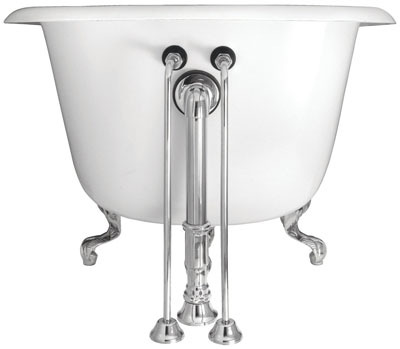 Click Here to purchase a piece of American Standard 2460.002.020 Cambridge 5-Feet Bath Tub for your bathroom and start enjoying a comfortable and pleasurable bathing experience while adding some elegant look to your bathroom interior. 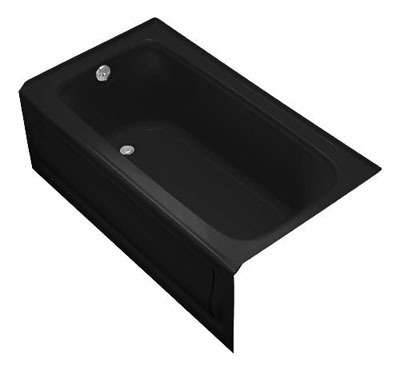 Traditional bathtub always blends well with any bathroom décor, if you happen to look for black or dark bathtub, then you should checkout KOHLER Bancroft 5-Foot Bathtub (K-1150-LA-0). Measures 60” L x 32” W x 20” H, this bathtub boasts traditional style and Bancroft Suite for a total bathroom design solution, its integral apron and tile flange help you to simplify the installation process. This traditional elegance brings you back to a nostalgic aesthetic in the bathroom, just like in the early 1900s of American design. This bathtub has 60 gallons capacity and been designed for 3-wall alcove installation. 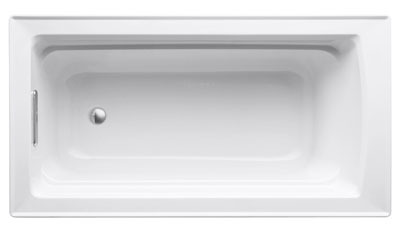 CLICK HERE to get more information about KOHLER Bancroft 5-Foot Bathtub (K-1150-LA-0), you can also checkout other color options to suit your bathroom color theme.